Vitamin D is back in the news again. Rather strong conclusion designed to forestall any further investigation or discussion. Really? Now personally, I owe my interest in vitamin D supplementation to my good friend Dr. William Grant of SunArc. And work that has been done by Dr. John Cannell, who founded the Vitamin D Council headquartered in Marina del Rey, California. Both are superb sources of ongoing vitamin D research. A meta-analysis is a literature review of all relevant resource papers. It suffers from specificity and accuracy of database key words, capture and design. It is limited by various assumptions, and highly intricate statistical conventions. Studies are excluded or included based on assumptions of the authors. One of my current criticisms of all these citations is failure of a popular news article to actually cite the source. So we cite here. 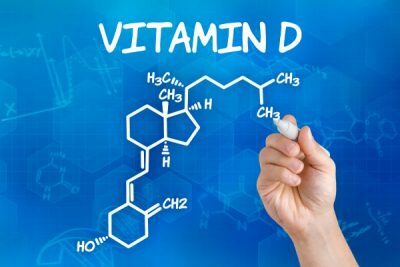 Effects of Vitamin D supplementation on musculoskeletal health: a systematic review, meta-analysis and trial sequential analysis. You will have to pay to actually read this paper. So, I will summarize for you. The paper is exhaustively written and detailed. But suffers from a number of limitations and dubious pharmacologic assumptions. First, it is stated that there was no difference between high-dose vitamin D and low dose vitamin D. What defines high-dose and low dose? Low dose was <800 units per day. High-dose was >800 units per day. I always have issue with “greater than” or “less than” because of a lack of specificity. >800 could be 801, 1000, 5000 or 50,000. You don’t know. <800 could be 799, 700 or 100. To be somewhat facetious. But it is highly important because we don’t know from their study. What would be the ideal dose of vitamin D? Who decided on this magical 800 units number? In fact, that is where 80% of all medical and scientific studies fail. Who chooses the ideal dose? On what basis is an ideal dose determined? I often use a facetious example of Lipitor. Lipitor will lower your cholesterol. More specifically, your LDL values. I could design an experiment using 1 mg of Lipitor for one year. You will see no benefit. It is too low. A study using 1 mg would conclude Lipitor is a worthless drug. In the other hand, let’s use an arbitrary dose of 100 mg of Lipitor for a study. After one year I would conclude this is a highly toxic drug causing muscle pains, memory losses and liver abnormalities. A drug that is too dangerous. So at some point, scientists determined that the ideal dose of Lipitor is 10 to 40 mg. With a certain segment of the cardiology community is using extremely high doses of 80 mg.
Dose-response. A fundamental tenant of good pharmacologic design and use. Furthermore, most commercial clinical labs report in ng/ml not nanomoles/l. So >50 nmol/l = >20 ng/mL and >75 nmol/l = >30 ng/mL. What does this mean? Vitamin D testing (using GC/MS/MS) is one of the lab tests that that is rationally graded on a continuum. Not simply high or low cutoffs. <15 ng/ml is (severely) deficient. 15 to 30 ng/ml is insufficient. 30 ng/ml to 100 ng/ml is sufficient. > 100 ng/ml is excess. And >150 is considered toxic. Never mind, that it is not toxic. So that this meta-analysis using a “high value” of >75 nmol/ml ( >30 ng/mL ) is not high. It is barely therapeutic. Just barely at the very lower limits of therapeutic. Like driving a car with a 1/4 tank of gas. Personally, and in the Anti-aging / Nutritional Medicine community a consensus seems to be a daily dose of 5000 units is the average starting dose for the overwhelming majority of our patients. Aiming for 60-80 ng/ml blood values. That seems to be the ideal dose and value. There are individual variations so that some of our patients will require 10,000 and 15,000 or as high as 20,000 units daily to achieve good therapeutic levels. In rare cases patients only need 3000 units. But clearly 800 units is nearly useless. So this meta-analysis suffers from so many shortcomings. A meta-analysis is a poorly controlled study because it is a retrospective look at a host of studies all probably suffering from experimental design weakness. Then there is the highly intricate retrospective statistical conventions excluding and including various studies for capricious reasons. Starting with a completely capricious and arbitrary dose and level. And finally, we have no idea whether blood levels were drawn at one time during a study or weekly or monthly or the beginning or the end. Most likely levels were drawn very infrequently and then assumed to be constant through the study. Probably None of these studies were carried longer than one year. Finally, Vitamin D alone is probably insufficient to enhance bone integrity and prevent osteoporosis. Empirically, I have observed osteoporosis is prevented by a combination of estrogen or testosterone vigor, vitamin D3, vitamin K2, the right balance of calcium and magnesium, and light weight bearing exercises. A study simply looking at the efficacy and levels in potency vitamin D will never prove the assertion that osteoporosis cannot be prevented by vitamin D.
There are some political considerations. The US Preventive Services Taskforce specifically recommended against Vitamin D supplementation to prevent fractures or falls. They intentionally excluded all of the known experts in vitamin D. Of which there are only 4 or 5 notable vitamin D researchers in the world. So beware. This meta-analysis or study does not prove that vitamin D is either inadequate or useless. I personally recommend vitamin D at least 5000 units daily, Vitamin K2 15 mg, 800-1000 mg calcium 200-600 magnesium, weight-bearing exercises and evaluation of your hormonal status. This is simply a starting point. There is considerable variation from patient to patient. That is why you need expert advice and counsel. Reference my earlier blogs on Osteoporosis Prevention. And the importance of Vitamin K2.